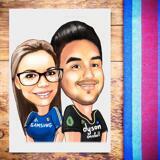 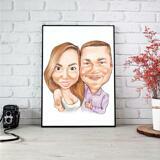 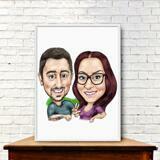 Order a colored caricature drawing, which will be drawn from photo of couple in pencils style. 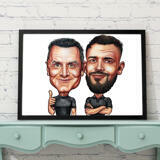 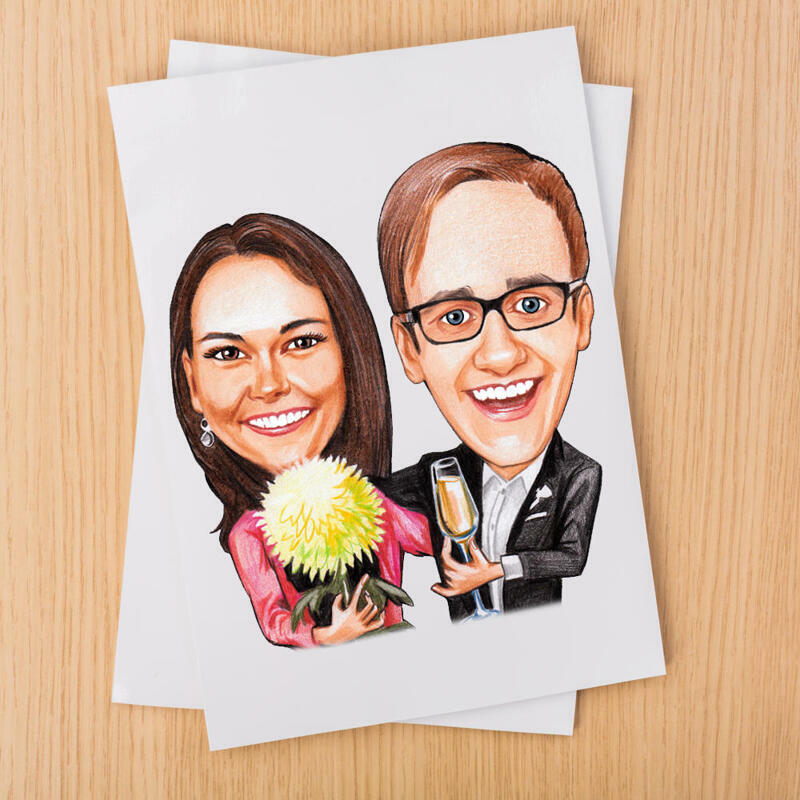 Photolamus caricatures are unique, funny and have a specific drawing style, which enables to make personalized gifts and keepsakes with caricatures. 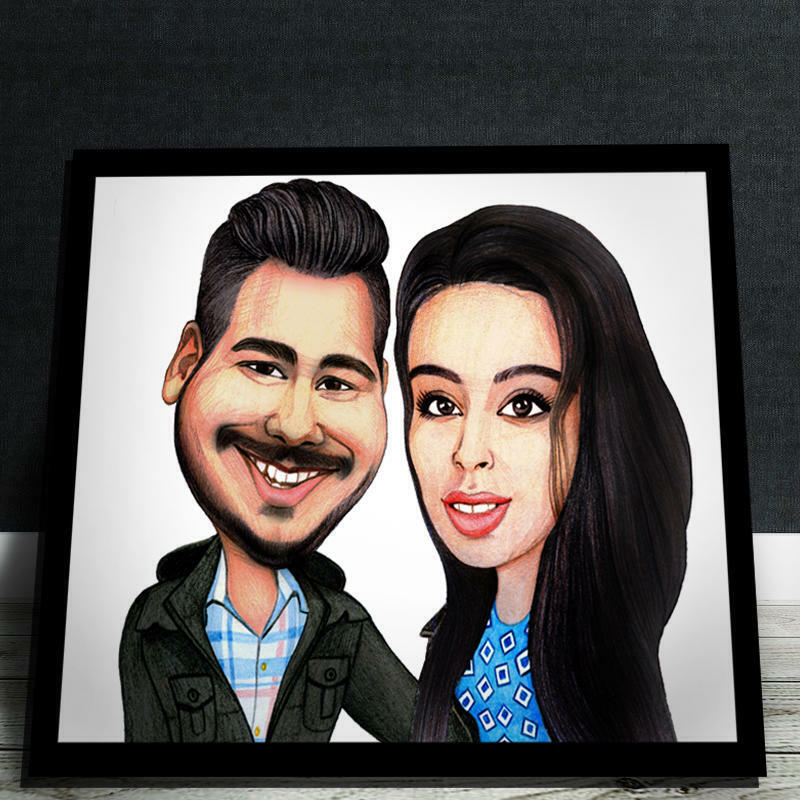 Our caricatures are drawn by professional artists around the world, so your pencils caricature drawing will be created within several days and delivered on Email as a digital JPG File for approval. After your checking, we will proceed with printing your caricature drawing on photo paper of the favorite size, which must also be selected by you below. 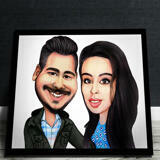 If you have any specific requirements regarding caricature style and design please mention them below. 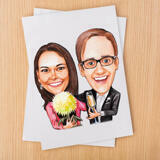 Any printed caricature on photo paper can be shipped to any location around the world.